North America remains one of the most important and biggest markets for both native enterprises and international firms headquartered outside of the continent. Whether you’re looking to gain an initial foothold here, or about to expand your current base of operations, our highly reputable and experienced network of agencies can design global travel programs that offer unrivaled and focused support. It’s about tailoring solutions that work for you, every step of the way. 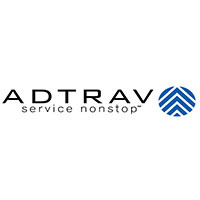 Since 1977, ADTRAV has provided professional travel management services to corporations, government contractors, universities, and federal government agencies across the globe. Their experience in managing travel to strict federal regulations is the foundation for their industry-leading quality and policy enforcement programs. ADTRAV is a Concur Preferred Partner and is focused on delivering unique technology and expert assistance to augment Concur products and services by streamlining processes, enhancing data capture, and fully integrating agent-assisted reservations. ADTRAV has also helped clients to deploy global travel programs in over 28 countries and continues to be a market leader in technology and global account management. This commitment drives their outstanding customer satisfaction rating and client retention rates! 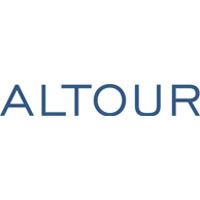 With sales of $2.6 billion in 2016, ALTOUR is the largest independently owned travel management company in the United States and one of the largest travel management companies globally. Serving the luxury and mid-markets, ALTOUR has 62 offices and more than 1,500 travel professionals worldwide. In addition to travel management services, ALTOUR companies include ALTOUR Air, ALTOUR Tech, ALTOUR Meetings and Incentives and the ALTOUR Global Network. ALTOUR is ranked among the largest travel agencies in the UK by Buying Business Travel and The Los Angeles Business Journal ranks ALTOUR as the #1 travel agency in Los Angeles County. ALTOUR has also been consistently named to the CMI 25 listing as one of the largest and most influential meeting and incentive companies by MeetingsNet. With offices in Argentina, Brazil, Chile, Colombia, Mexico, Peru, UK and USA, Brickell Travel Management is a market leader among independently owned travel management companies. As a privately-owned company, Brickell Travel Management has grown from a small operation to an emergent global presence with annual sales exceeding $90 million. Recognizing the gap between large technology-driven agencies and smaller agencies that rely strictly on personal service, Brickell Travel Management has developed a model that offers the best of both worlds. In addition, the company has invested significant resources in developing the capabilities of large travel management companies. These enhancements include online booking technology, advanced reporting capabilities, and expense management solutions. What developed as a result is a travel management model that offers the robust technology and infrastructure provided by large TMCs without losing the personalized service that continues to be the foundation upon which Brickell Travel Management grows today. Managing some of the most demanding travel programs in the industry, CorpTrav is recognized for award-winning premium service, state-of-the-art technology, and unique travel program customization. 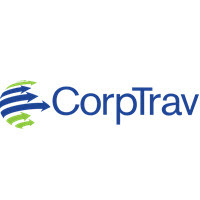 CorpTrav successfully executes the global travel needs and program consolidations of organizations of varying sizes, needs, and specialties and has the technology, experience, and industry expertise to transform your travel program into a well-organized and cost-efficient operation. With CorpTrav as your travel management partner, you can take advantage of the latest in travel technology, tenured travel consultants, innovative cost savings solutions, and an elite level of customer service. 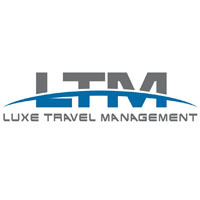 LUXE Travel was strategically formed in 2008 to bring together a team of air, business, and leisure travel professionals, under the leadership of Craig Carter, President & CEO. The formation of LUXE Travel was the result of a strong mutual commitment among these travel “pros” who shared a vision of providing their customers with the best and most varied travel services available. With experienced staff from throughout the travel industry, LUXE Travel is able to offer a complete range of travel services from corporate programs to worldwide leisure packages to meetings, groups, and events. The LUXE Travel team includes 100+ highly experienced travel agents as well as professionals from across the travel industry - airline, cruise, hotel, corporate travel managers, and meeting planners – with an average of 25+ years in the travel industry. Maritime Travel is first and foremost Canadian! Maritime Travel has grown steadily through both acquisition and expansion since opening the first storefront in 1949 in Halifax, Nova Scotia. Currently, Maritime Travel has 117 locations across Canada trading under Maritime Travel and LeGrow’s Travel (Newfoundland and Labrador) and is the largest privately owned Canadian travel company offering a full service, high-touch experience with a focus on both business travel and leisure travel and related offerings. Maritime Travel generates over $320 million in annual sales and employs over 500 people across the country. Their client base includes multiple entertainment, oil and gas, industrial, educational institutions and professional firms across Canada. Maritime Travel takes pride in their unique "boutique" approach to service and in having one of the most experienced teams in the country with their counselors having, on average, 15+ years of industry experience. Maritime Travel provides expertise to over 1,000 corporations across Canada and services the needs of their US divisions as well. 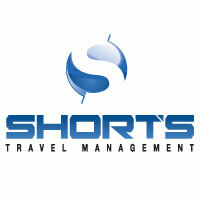 Founded in 1946, Short's Travel Management has grown to become one of the top corporate and collegiate travel management companies by focusing on core values such as client retention, exceptional customer service, and continuous development of innovative technological solutions. Short's prides itself on developing unique solutions for even the most complex travel programs and being experts in specialized travel segments including corporate, government, university, sports, strategic meetings management, air charter, and bus charter services. Travel and Transport ranks as one of the top five largest travel management companies in the U.S. and consists of 125 locations in 44 states, Germany and France. Founded in 1946, Travel and Transport's decades of industry experience and deep supplier relationships provide their clients with innovative and proven program solutions and measurable cost savings. Headquartered in Omaha, NE, Travel and Transport fosters a profound commitment to customer service and invests in technology tools and systems that allow them to address the ever-evolving challenges of corporate travel. Because Travel and Transport is uniquely positioned in their industry, they are able to provide more client attention and customization than the mega travel management companies and greater supplier response and better products than their smaller competitors. 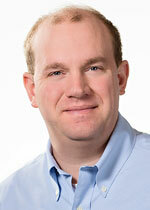 Travel Edge has evolved to earn over $750 million in revenue through a global network of local market expertise. For 30 years, the organization has built its foundation of companies spanning ownership in Canada, the United States, and Bermuda. 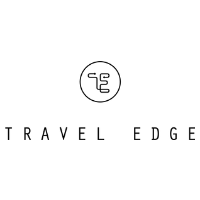 Headquartered in Toronto, Travel Edge is one of Canada’s largest privately owned and independent travel management companies. Travelpath is a global travel management company that offers high-quality services in business travel, vacation travel, hiking holidays, and diving holidays. Travelpath's award-winning corporate travel services help businesses reduce costs for air, hotel, and car rental expenses year to year. Travelpath has been in business for 37 years and has an immense amount of experience managing mid-sized to multi-national sized business travel accounts. 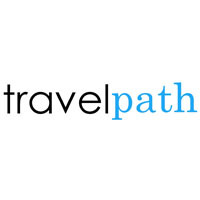 Travelpath is the Canadian branch of a global network with over 3,200 locations in 27 countries. Our network has a massive amount of market buying power that supports a total air-spend of $19 billion in 2013. This gives Travelpath the ability to pass on massive savings to their clients. Travelpath is the industry leader in travel management technology and continues to develop innovative ways to provide the top services within Canada. For over 30 years, World Travel, Inc. has been providing customized corporate travel management services to clients across the country and around the globe. A privately held corporation, World Travel has been conducting business under the same ownership since its inception, focusing primarily on corporate travel, but also providing meetings & groups and vacation services, as well. There's no magical secret behind World Travel's success, just a highly service-oriented team and experienced staff that follows the leadership of a dedicated executive management team. Yes. We have over 100 partner agencies across 6 continents. Every one of those agencies is a carefully vetted local expert and a shareholder in the Radius Travel business. How do you ensure consistency across your global network? Through rigorous vetting, demanding SLAs and deep relationships with our members. Agencies join Radius through a six-step process that ends with board-level approval. Once they join us, they go through an eight-week implementation program that includes data certification and training on our sales, account management and operations processes. Finally, they become shareholders with a vested interest in the reputation and growth of the business. As well as working to the same standards, we’re all working towards the same goal. What’s your approach to global account management? We believe account management should be consultative and analytical. Radius global account managers (GAMs) don’t just act as day-to-day contacts. They also proactively monitor client programs for savings opportunities and service issues, consolidating data and feedback from each country. At local level, local account managers work closely with GAMs during the implementation process, and are responsible for adherence to service requirements. Our GAMs are also supported by global analysis specialists, who provide market-leading consultancy on all aspects of a client’s business travel and travel expenditure.